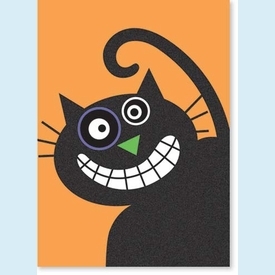 Funny flocked black cat grins widely to celebrate your Halloween message. 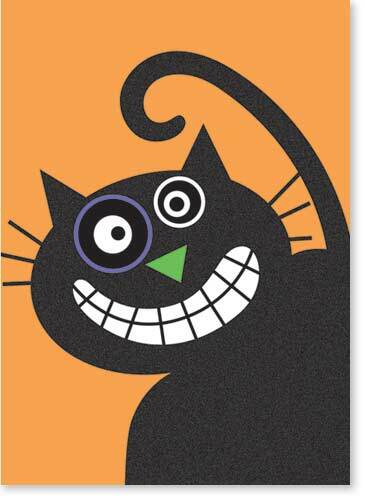 Inside greeting reads: "Don't be a scaredy cat, have a Happy Halloween." NOTE: Only 8 left!